The Smoothest most efficient drivetrain in a spinning reel is now even smoother and more efficient with improved durability. Introducing the new Shimano Stella. The new Micro Module II provides a new ideal gear design and gear teeth surface for amazing smoothness and nearly twice the strength of Shimano's already unmatched gear durability. X-Protect makes the new Stella up to five times more resistant to the long term damaging effects of water than the previous model, so every turn of the handle is sure to feel as good as new even after years of use. 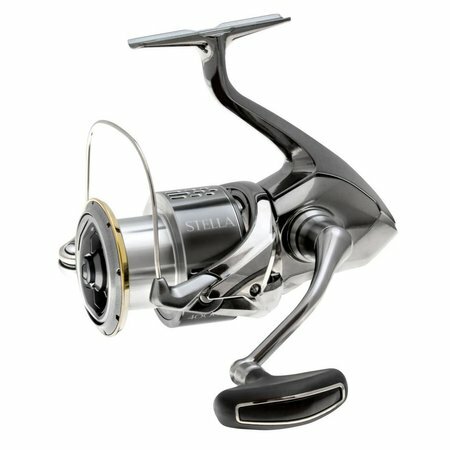 Plus, new Silent Drive, long stroke spool, tangle proof rotor design, and a host of other new high end features means Stella truly represents a benchmark in Shimano spinning reels.